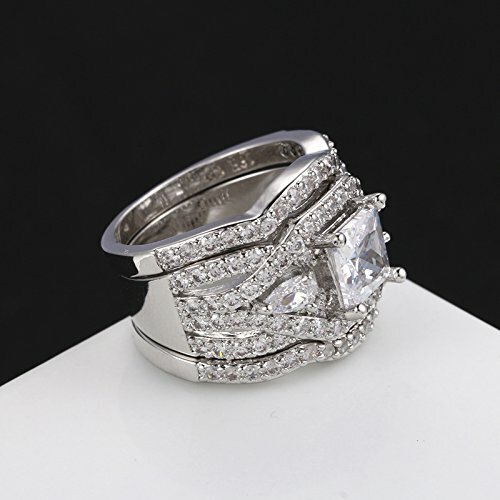 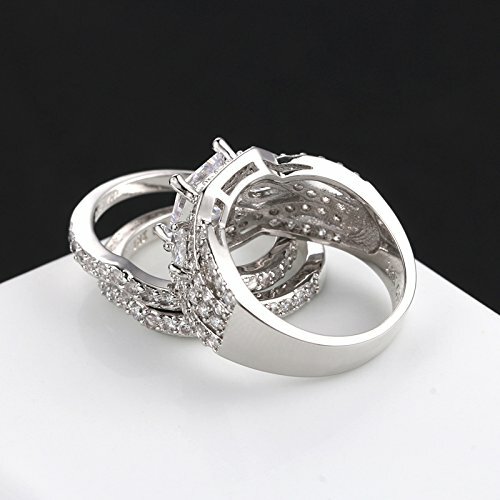 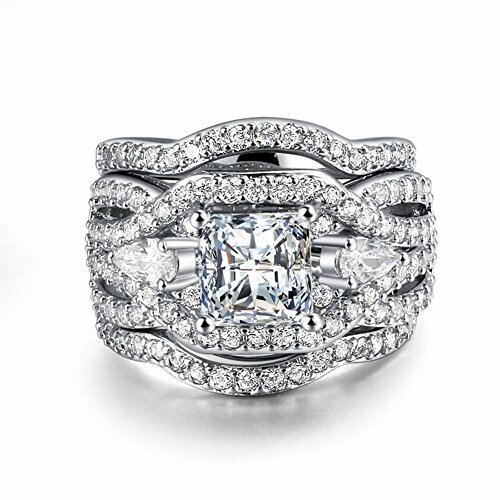 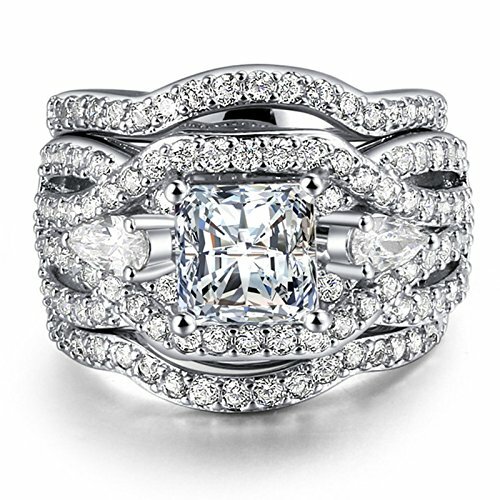 PCS Luxury Wedding Band Engagement Ring Set. 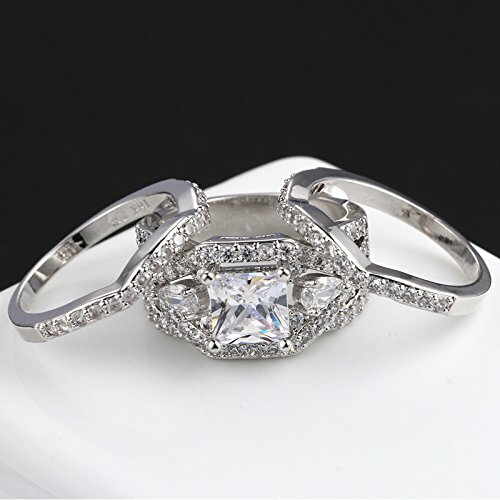 Princess Cut Round Cut Pear Cut AAA Cubic Zirconia. 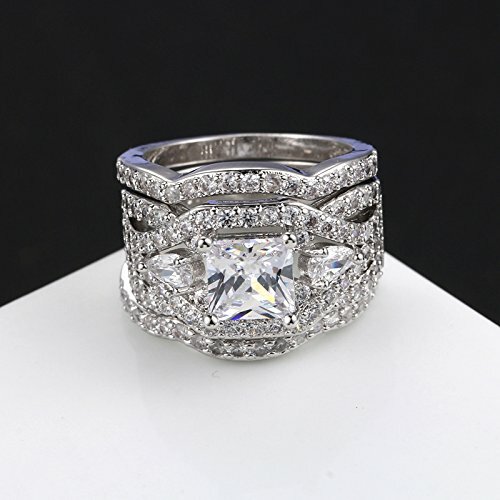 Coming with a Free Ring Box.